Ever since I started blogging I’ve wanted to film a hair tutorial. It’s seriously been on my list for over 5 years. I finally have a video coming to my Instagram today! But I wanted to break it down on the blog. I pretty much have no method to curling my hair. I don’t section it off, or do the recommended back to front or bottom to top. I actually do the opposite. I feel like the way I do it keeps it from looking too perfect and way more natural. Sometimes the messier the better. First I apply a heat protectant to my hair. I don’t really have a favorite and switch them up a lot. Currently I’m using this one from Living Proof. After I spray it all through my hair I brush it one more time with this brush and get to work. 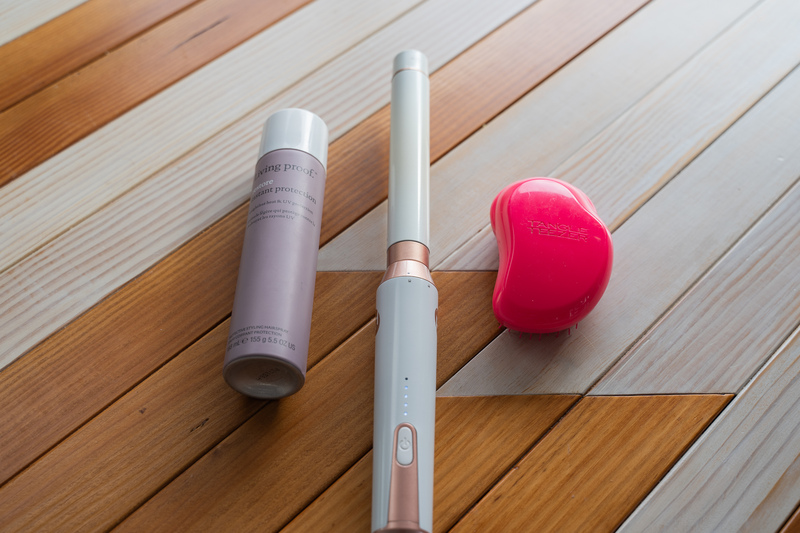 I love the T3 convertible curling iron set and mostly switch between the 1″ straight barrel and the 1.5″ straight barrel depending on what I want my hair to look like. Obviously the 1″ holds longer and I always like the way it looks best after a few days. The convertible collection is a big investment. If you want to start out with a single wand, I’d get the 1″ and the base, and you can always buy more wands or barrels for the T3 as you go. 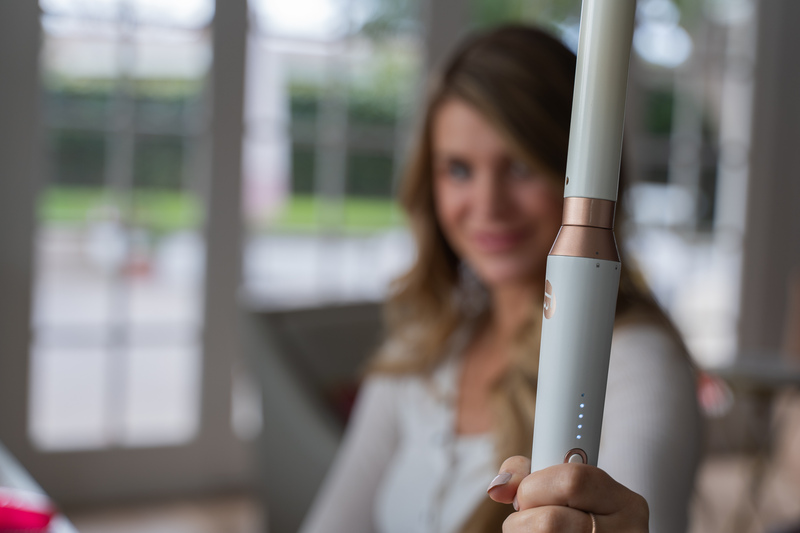 I also love this curling iron and am currently giving one away over on my Instagram. Starting in the front I pull 1″ sections and wrap them away from my face around the curling iron leaving the ends out. I repeat this pattern from front to back on both sides, pulling the pieces from above and below naturally as I get to them. For me, the trick is to not touch or brush my hair for as long as possible. In these photos I had just curled my hair and hadn’t touched it. Ideally I like to curl it at night and sleep on it before I take a brush to it. 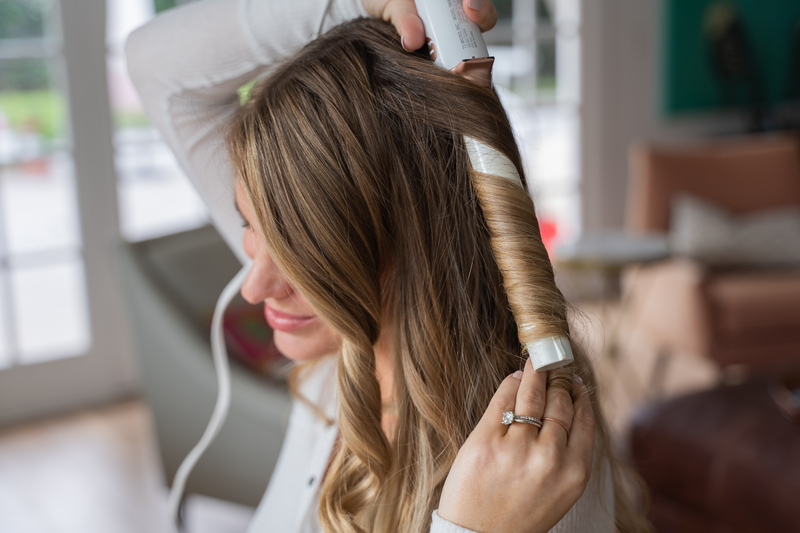 It helps the curls really set and keeps it from looking too curled. If you want bouncier curls I’d recommend brushing it shortly after they cool. My technique is for the more natural/beachy looking waves you mostly see me with. This is totally a personal preference but I don’t use any hairspray or product after I’m done curling. They weigh my hair down and actually make the curls come out faster. I only wash my hair once or twice a week and usually like the way it looks best a few days after I’ve curled it… way closer to when it needs to be washed. I hope this made sense! Please let me know if you have any other hair questions or need me to clear anything up. Happy Monday!